Project: Specimen Role: Artist Note: Specimen is an art installation created in collaboration with artist and photographer Jason Carlisle. 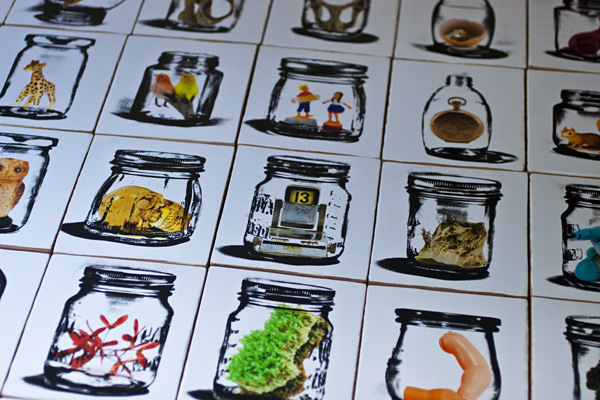 It consists of 52 specimens, meticulously collected, curated, documented and displayed in 52 pieces of glassware. 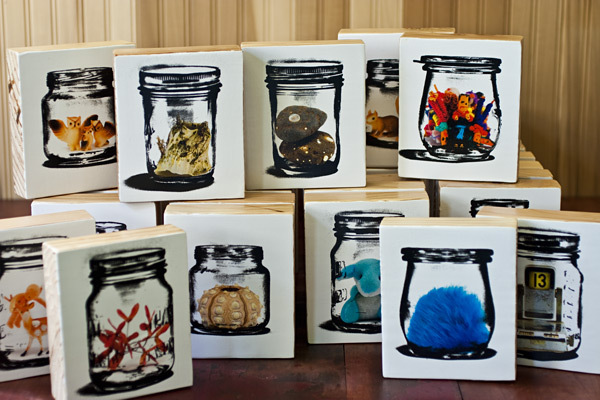 Images are mounted to 2" thick wooden blocks to maintain a sense that these are tangible objects in a collection. 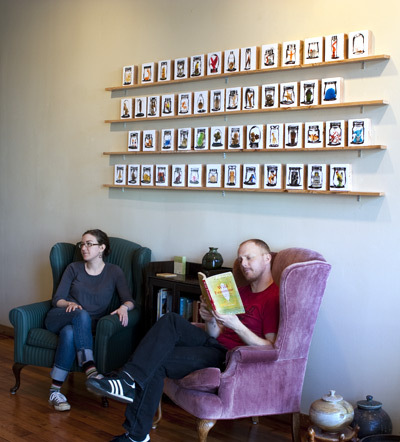 Visitors/buyers were encouraged to curate their own collection from the larger work. Each piece has a stamp on the back indicating the name and number of the specimen, date of discovery and where it is currently housed. 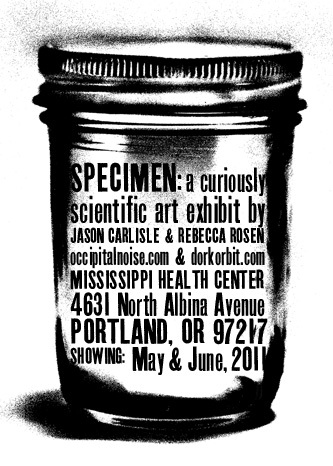 Exhibited at Mississippi Health Center in Portland, Oregon, May through June 2011. Imagery originally created for Survival Knife. Materials: Digital photography, paper, wood, acrylic medium, custom shelving.